Today we will see How to Submit Sitemap to Google Webmaster Tools in Blogger. Basically submitting sitemap shouldn’t be a big deal for anyone one, neither for a pro nor for a newbie, but sometimes when a newbie starts a blog everything becomes very difficult to understand like, how to operate or how to manage the blog properly, just like that submitting sitemap is one of the most important thing which you should do after creating a blog and writing some well optimized content. If you have just started your blog, you might aware of the role, which search engines and blogger template will play in your blog. Search engines and the traffic which comes from it are very valuable for a blog, it doesn’t matter on what topic of niche you are blogging but the thing which matters is organic traffic which come from search engines, when a visitor search’s for a specific keyword, But for that you have to make your blog appear in search engines by adding your sitemap into their directory. Showing your blog in google search result is very easy and free of cost, by submitting the sitemap you are letting google to find your blog and its post. To submit sitemap you have to be little familiar with Google Search Console (earlier known as Google Webmaster Tools) and its dashboard. Search console is a free offering by google which helps your blog to appear in search results. There are few essential steps to proceed further, the first important thing you have to do is to verify yourself as the owner of the website you want to submit sitemap. Before starting the tutorial, you have to understant that what basically a sitemap is and why is it neccessary to submit it in blogger. So, without wasting more time, let’s start. Basically sitemap is a kind of map of your website which has everything important about your blog that a search engine wants. 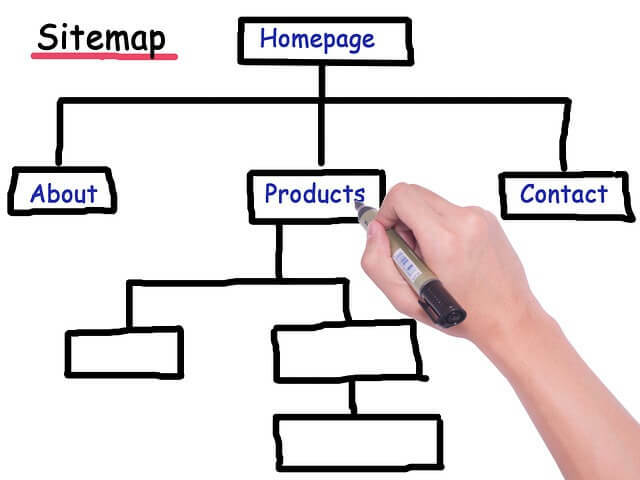 A sitemap can be in XML or HTML file which has all the links of your blog pages and posts. With HTML sitemap a visitor can roam or navigate around your website for better navigation but XML sitemaps does the same thing but for search engines. When you will submit an XML sitemap to search console, it helps search engine bots/crawlers to fetch all the links on your website and included it into their directory. There are different factors of a sitemap that affect the indexing/crawling rate of your blog, such as the number of links in your sitemap, updating frequency, the size of your sitemap, indexing priority of pages on your website etc. This is the sitemap code for your blogger blog that you need to add. Congrats! You have completed the process of submitting your blog sitemap. Note: The above sitemap will work for 500 posts only. If you have more than 500 posts published on your blog, then you have to add one more sitemap. The Whole proccess will be exactly same, but at this time you have to add this code. That’s it. You are done with submitting the sitemap for blog posts. Now let’s move to the 2nd part i.e submitting sitemap for blogger static pages. The sitemap for blogspot static pages is totally different from the blog posts. If you want Google bots to crawl and index your static pages as well, then you must submit a sitemap for them too. As you know already while adding the sitemap for posts we have added atom.xml but for static pages it will be like page-name.xml. Replace BlogName with your domain name. The Whole proccess will be exactly same, but at this time you have to add different code. Now when you will add code in Add/Test sitemap text field, use below code. Hope you liked this tutorial. we have tried our best to cover each and everything related to How to Submit Sitemap to Google Webmaster Tools in Blogger. We hope that it will help you and you can easily follow the above steps.